I saw an exhibition of Rock n’ Roll photos over the weekend. I was underwhelmed. Apart from the familiarity of the faces, the photo’s weren’t great art. I reflected on my own efforts to take photos of bands I enjoy. The thing is, I don’t really care what bands look like, it’s the sound that matters. Live, I want to capture the performance. 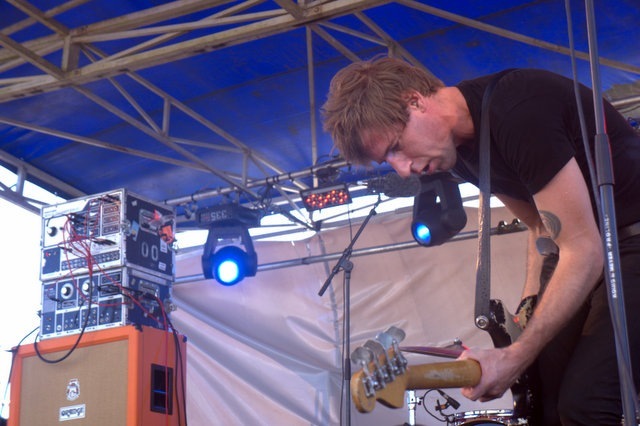 I resolved to take more video’s of bands, and here are some efforts from Laneway last weekend here in Auckland. Shooting bands from the mosh pit perspective is technically challenging stuff, but I am very pleased with how this clip turned out. A Place to Bury Strangers ripped though a great set. Here’s the last song….